Hunter Valley's picturesque central town. 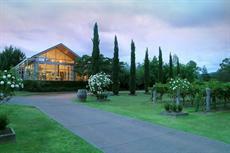 Cessnock is located next to Australia's oldest wine region, just a couple of hours’ drive north of Sydney. 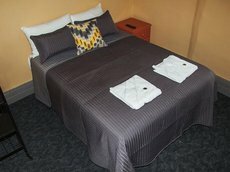 Historically a coal mining centre, this town and collection of villages make for a popular place to stay while visiting the wineries of the Lower Hunter Valley as the area is cheaper than Pokolbin and has plenty of facilities for visitors. Cessnock is one of the busiest places to be based in the Hunter Valley, with dozens of wineries and cellar doors nearby along with an array of services. There are restaurants with reasonably priced food, motels with WiFi internet and glitzy shopping areas with natty craft shops. Several historic buildings might be of interest in Cessnock. The Richmond Main Mining Museum is worth a look, though most visitors take to the road and explore the wineries of the area. It is better to tour, but you can also turn up and taste at many of the wineries, with their chardonnays, pinot noir and myriad other wines. Aside from the wine, hot air balloon rides over the region are hugely popular, along with skydiving and golf. Even if you’re not staying there, also be sure to head over to Pokolbin to take in its fine art galleries and sample its swanky restaurants. Thirty minutes southwest is historic Wollombi, which is also good for wine and friendly hospitality. 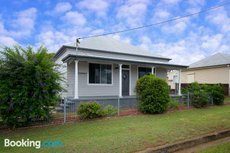 You could also take to the hills of the various national parks and forests of the Watagan mountains, while less than an hour by road from Cessnock is bustling Newcastle with its beaches and funky cafés. 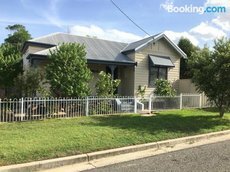 Located less than two hours drive north of Sydney, the picturesque area of Cessnock includes small towns such as Paxton, Millfield and Bellbird. 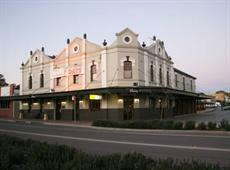 Cessnock has become a major tourist hub offering plenty of character and charm. Cessnock, once a highly prosperous town thriving on the rich coal seams in the area, is now better known as being the gateway to the wineries of the Hunter region, one of New South Wales' most vital winemaking areas. So a short trip out of Cessnock is as far as you need go for a pleasant afternoon spent tasting the local produce. Revel in the richness of Cessnock's convict, coal and Aboriginal heritage, or spend time admiring the abundant art galleries, antique and craft shops. Play a round on a world-class golf course before choosing from a wide range of restaurants, cafes, old-style pubs and themed winery eateries for dinner and drinks. Tour the wineries, take a heritage walk or for the more keen there are many adventure tours in the valley. 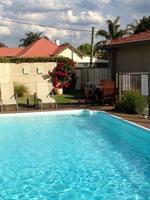 Options for accommodation in Cessnock are good and the Carriages Guest House or the Heritage Inn come recommended. Hotels here are cheaper than flashy Pokolbin, but note that prices in the Hunter Valley surge during the summer and on weekends. It's a leisurely two or three hours by road from Sydney and you can do it via the pretty colonial Tourist Drive 33 route. 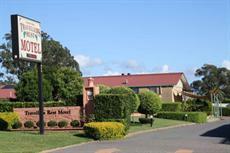 Take your time in Cessnock, with a wide range of accommodation to suit all budgets, needs and occasions. 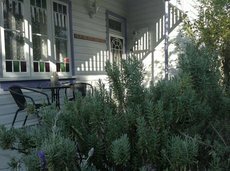 Take a romantic interlude at a secluded bed and breakfast or guest house, or make a motel, villa, resort, self-contained unit or cosy pub your starting point for your Hunter Valley holiday.